Almost, every other day I get an email or an sms from banks asking me to link my accounts and my Aadhar number. At the same time, a mobile phone company also sends out reminders at regular intervals asking me to link my phone number with my Aadhar number. The couple of times I visited their office in the recent past, I have been reminded of the same. The last time I logged on to an airline website to carry out a web-checkin, I was asked for my Aadhar number, though this was optional. When I applied for an ISBN (International Standard Book Number) for my last book, I was asked for my Aadhar number. An Aadhar number is now required for access to a whole host of government welfare programmes. The idea is to ensure that only those who genuinely qualify for the programme have access to it. On the whole, the idea seems to be to use Aadhar to identify those people who are not paying their share of income tax, by figuring out their spending patterns. On August 23, 2017, a notification was introduced which brought jewellers with a turnover of more than Rs 2 crore, under the Prevent of Money Laundering Act. The limit for reporting transactions under the Act is at Rs 50,000. Basically, anyone using cash to buy gold jewellery over Rs 50,000 had to show his or her PAN card. Before this, since December 2015, anyone buying gold above Rs 2 lakh, had to show a PAN card. With the August notification, the limit for showing the PAN card was lowered from Rs 2 lakh to Rs 50,000. Recently, the August 23 notification was rescinded. In doing so, the limit till which gold could be bought in cash without providing any identification jumped up again to Rs 2 lakh. This, brings multiple questions to the fore. First and foremost, when every bank account holder needs to link his bank account to the Aadhar number, why doesn’t the same rule apply to anyone buying gold using cash. When every mobile phone user is being pestered to link his mobile number to his Aadhar number, why doesn’t the same rule apply to anyone buying gold using cash. If it is important to clearly identify bank accounts and mobile numbers, it is also important to clearly identify who is buying gold. The question that arises here is that who buys gold in cash. The point being those who have black money like to buy gold in its various forms, using cash. If cash sales of gold need to be attacked it is important that some sort of identity of the individual buying gold be established. The column was originally published in the Bangalore Mirror on October 11, 2017. Gold Imports Surge: Are People Hedging the Risk of Another Demonetisation by Converting Black Money into Gold? The impact of demonetisation has played out in many ways. Here is one more way: The gold imports between April and July 2017 have been nearly 2.7 times the gold imports during the same period last year. Let’s take a look at Figure 1 which plots gold imports (in Kgs) over the last few financial years. It is clear from Figure 1 that the gold imports have jumped up big time between April to July 2017, in comparison to last year. In fact, they are the second highest in the last five years. Take a look at Figure 2. Figure 2 plots the money spent on importing gold over the last five years. Even in value terms significantly more gold has been imported this year than last year. The price of gold during the period April to July 2017, averaged at $1257.9 per ounce (one troy ounce equals 31.1 grams). During the same period last year, the price of gold had averaged at $1291.3 per ounce, which was slightly higher. How do things look if we look at the calendar year instead of the financial year? Between January and July 2017, the total amount of gold imported stands at 6, 61,836 kgs. Between January and July 2016, this had stood at 3,11,938kgs. There is a clear jump in this case as well. In fact, the interesting thing is that the import of gold has been concentrated during the first five months of the calendar year, immediately after demonetisation. What does this tell us? When and why do people actually buy gold? The history of economics tells us that people buy gold when the faith in official paper money (in this case the Indian rupee) is low. Take the case of the period between April to July 2013. A lot of gold was bought during this period. The rate of consumer price inflation was at 9-10 per cent. Given this, a section of the population had lost faith in the Indian rupee and was hedging against inflation and buying gold. What is happening this time around? This time around Indians are buying gold because in the aftermath of demonetisation which was carried out in November 2016, there is a feeling that the government might do it again. Given this, a portion of the black money which was held in the form of cash earlier, is now simply being converted into gold. This seems like the most logical explanation for this surge. The lower price argument doesn’t really hold because prices this year have been more or less similar to prices last year. Of course, gold is easy to store and has never gone out of fashion. Hence, it can easily be converted into cash at any point of time. In 2013-2014, people had lost confidence in paper money because of extremely high inflation. This time around, people have lost faith in paper money because of demonetisation. Hence, they are buying gold. As Indians bought gold in 2013-2014 and a lot of it (close to 4,20,000 kgs, during the first four months of that financial year, as Figure 1 suggests), the demand for dollars went up. India imports almost all of the gold that it consumes. Hence, it buys gold internationally in dollars. As the demand for dollars went up, importers sold rupees and bought dollars. In the process, the rupee lost value rapidly against the dollar. In April 2013, one dollar was worth Rs 54.23. By August 2013, it was worth Rs 67.4. The rupee simply crashed during the period. It is worth asking here that why a similar situation does not prevail right now. Why hasn’t the rupee crashed like it did when people bought lots of gold between April and July 2013? This is because while Indians are buying gold, a lot of dollars continue to come to India through the foreign institutional investors route. These investors continue to invest in the Indian stock market and the debt market. Between April and July 2017, the foreign institutional investors have invested a little over Rs 95,000 crore in the stock and the debt market. The foreign institutional investors sell dollars and buy rupees in order to invest in the stock and the debt market. This demand for the Indian rupee has ensured that the dollar has remained stable against the rupee at around Rs 64. Hence, the demand for rupees among these investors is negating the demand for dollars among gold importers. This has led to a stable value of the rupee against the dollar. What had happened between April and July 2013? While, the demand for gold was very high, the foreign institutional investors were selling out of India. During the period, they encashed close to Rs 27,000 crore from the stock and the debt market. In fact, the foreign institutional investors sold stocks and debt worth over Rs 60,000 crore between June and July 2013. In order to repatriate this money abroad, they had to sell these rupees and buy dollars. This along with heavy gold buying, which was accompanied by selling of rupees and buying of dollars, pushed up the demand for the dollar, and drove down the value of the rupee. This essentially explains why the value of the rupee had crashed in 2013-2014, and has remained stable during this financial year. Nevertheless, people are buying gold because their faith in the Indian rupee has gone down and they clearly want to hedge against the risk of another round of demonetisation. (The column was originally published on Equitymaster on September 19, 2017). It has always been money. Nobody knows this better than us Indians. Our love for the yellow metal comes out in the way we hoard it. And this faith in gold was at display all night long yesterday in Mumbai. The question is what brought out Mumbaikars to buy gold on a non-festive day? The answer is Narendra Modi. In a late evening TV address to the nation prime minister Narendra Modi banned the use of Rs 500 and Rs 1,000 as legal tender. This essentially made a little more than 86 per cent of notes practically useless overnight. credited into the bank or post office account. Nevertheless, these notes can be exchanged only up to a total of Rs 4,000 as cash. This limit has been set for a period of 15 days and it will be reviewed after that. People who have always declared their income and paid taxes on time, have nothing to worry about. All they need to do is just go to a bank or post office and deposit the Rs 500 and Rs 1000 notes they have. The money will be credited into their accounts, which they can later withdraw through ATMs/cheques. Nevertheless, this move of the Modi government, has created trouble for those who have black money in the form of cash or notes. Black money is essentially unaccounted money which has been earned but on which tax has not been paid. If the holders of black money were to deposit it in their bank account, it would probably lead to questions from the income tax department regarding the origin of the money. If they were to continue to keep it under their mattresses, the money would become useless overnight. Hence, the next best thing to do was to convert that money into a physical asset, which would continue to hold value. Of course, physical assets like land or flats or paintings cannot be bought overnight. But there are no such problems in buying gold. It is practically available everywhere in the city. All one needs to do is to step out and buy it. And this precisely what Mumbaikars who had black money in the form of cash did late last night. They exchanged their Rs 500 and Rs 1,000 notes for gold and ensured that their black money continued to hold value. Also, no identification documents need to be shown for gold purchases of up to Rs 2 lakh. This makes converting black money into gold an easy proposition. Further, those with black money always have the option of buying gold from multiple jewellers in order to avoid showing identification documents. Hence, people were essentially busy converting their black money into gold. As per the government notification Rs 500 and Rs 1,000 were not supposed to be a legal tender post-midnight. But the city jewellers seemed to have overlooked this technicality and carried on with brisk business late into the night. This was a good opportunity for them to earn some money, in what has been an otherwise slow year for them. Of course, the money that they earned during the night and all the Rs 500 and Rs 1,000 notes that they managed to accumulate, must be deposited into their bank accounts, to make sure that it continues to hold value. If they don’t do that they will essentially end up holding worthless pieces of paper. And once the money is deposited into a bank account, it will essentially mean that the black money of Mumbaikars will be converted into white money of the jewellers on which an income tax will have to be paid. This in a rather circuitous way will be a good thing to happen. In June 2015, China declared having bought 604.34 tonnes of gold. It’s last declaration before this had come in April 2009, when it had declared to having bought 454 tonnes of gold. It couldn’t have bought such a huge amount of gold all at once given the limited supply of the yellow metal. Between April 2009 and June 2015, China regularly bought gold. It only declared it all at once in June 2015. The country had followed a similar strategy before April 2009, as well. It had last declared having bought 99.5 tonnes of gold in December 2002. Hence, even though China has been buying gold all along, it has chosen to do so quietly, instead of going public with it. The reason for this was fairly straightforward. Gold is a thinly traded commodity, and hence, it makes sense for China to keep accumulating gold at a slow and regular pace, without making its intentions public and driving up the price. Having said that since June 2015, there has been a change in strategy. Between July 2015 and February 2016 (the latest data that is available) the country has been making monthly declarations of the purchases it has been making. These purchases vary from a minimum of 9.95 tonnes in February 2016 to a maximum of 20.84 tonnes in November 2016. Officially, China now has 1,788.4 tonnes of gold. It is the sixth largest gold owner in the world. While in absolute terms 1,788.4 tonnes of gold sounds quite a lot, when it comes to gold as a percentage of reserves, the country still needs to catch up with other countries. As can be seen from the above table, China’s gold hoard as a percentage of its reserves is the lowest among the top eleven hoarders of gold. While officially China may have 1,788.4 tonnes of gold, experts who are in the know of such things, suggest, that China has more gold than it is currently showing. So what this means is that the Chinese government’s real gold hoard is at least 2.2 times its official one. In fact, Rickards in his book The Death of Money explains how China has gone about accumulating gold over the years. The country buys gold through secret agents based out of London. These agents are known to be very disciplined, and they buy gold whenever the gold price falls significantly. The gold these agents buy is paid for by the State Administration for Foreign Exchange (SAFE), one of China’s sovereign wealth funds. The gold bought by SAFE is later transferred to the People’s Bank of China, the Chinese central bank. China also buys gold from mines directly. During April to June 2013, when the price of gold had reached a low of $1,200 per ounce, the country bought 600 tonnes of gold directly from Australia’s Perth Mint. Also, China is now the largest producer of gold in the world. The disadvantage with China’s gold production is that it does not really have any big gold mines and a lot of gold that it produces comes as a by-product in the mining of other base metals. The Chinese government buys gold from the mines within China but does not report these buys. These reasons also explain why China’s gold hoard is actually significantly bigger than what it is telling the world. In fact, China’s gold hoard maybe more than 4000 tonnes because Rickards seems to have made this estimate in July 2015, when China’s official gold hoard was at 1,658 tonnes. Since then, the number has officially risen to 1,788.4 tonnes. Currently, the global financial system revolves around the dollar. Given that so much of it has been printed (or rather created digitally) in the last few years, there is the threat of the current financial system collapsing due to high inflation. When the time for the new financial system comes around, China wants to be in the driver’s seat along with the United States, Germany and Russia, countries which have a significant amount of gold. It needs to be mentioned here that China owns a significant amount of US treasury securities. These are bonds issued by the US government to finance its fiscal deficit or the difference between what it earns and what it spends. As of end February 2016, China owned $1.25 trillion of the total $6 trillion worth of treasury securities owned by foreign investors. As I mentioned earlier, the United States has printed a huge amount of dollars over the last few years. This has led to a situation where the chances of a high inflation scenario remain. If something like this were to happen, then the value of the Chinese investment in US treasury securities will fall. The question is when will this manipulation end? Gold has done well in the recent past. Over the last six months it has given a return of around 14% (in dollar terms) and is currently quoting at $1250 per ounce (one troy ounce equals 31.1 grams). With these returns gold is coming back on the investment radar, though over the last five years the yellow metal has given a negative return of 12%. Indians have always been fascinated with the idea of buying gold. As per the World Gold Council the consumer demand for gold in 2015 stood at 848.9 tonnes. Of this 654.3 tonnes was gold that went towards making jewellery and 194.6 tonnes was gold that went towards making bars and coins. Interestingly, India now lags behind China when it comes to gold consumption. In 2015, Chinese consumer demand for gold stood at 984.5 tonnes, around 16% more than Indian demand. The Chinese consumed more gold than India both when it comes to jewellery as well as gold in the form of bars and coins. The trouble in the Indian case is that the country produces very little gold of its own. In 2015, the domestic supply of gold in India, as per estimates made by the World Gold Council stood at 9.2 tonnes or a little over 1% of total consumer demand. This supply came from local mine production, recovery from imported copper concentrates and disinvestment. The gold that is imported into India needs to be paid for in dollars. India’s stock of dollars comes in from various things including foreign direct investment(FDI) made into companies and projects and foreign portfolio investment(FPI) made into stocks and bonds. If we add the FPI and FDI numbers for the last decade it comes to $304 billion. As mentioned earlier India net-imported gold worth $267 billion over the last decade. This essentially means that a bulk of the dollars that came into India through the FDI and the FPI route where used to buy up gold. To put it simply, over the years, India has sold stocks to earn dollars and in turn used these dollars to buy gold. While this wasn’t planned, this is how things have turned out. In the process, the country has become a victim of the fallacy of composition. Indians buying gold is a tad like that. When an individual Indian buys gold either as jewellery or as an investment or as a hedge against inflation, it makes sense for him at individual level. But when the same thing happens at a societal level, it creates problems for the country. It also led to the demand for dollars going up leading to the rupee depreciating against the dollar. This led to the value one dollar nearly touching Rs 70. This became a huge problem given that oil imports suddenly became very expensive as Indian oil marketing companies had to pay more in rupees in order to buy dollars they required to buy oil. The demand of oil companies for dollars led to further depreciation of the rupee against the dollar. Further, these were the days when diesel was subsidised by the government. The government in turn compensated the oil marketing companies for the under-recoveries they occurred. This pushed up the government expenditure as well as the fiscal deficit. The fiscal deficit is the difference between what a government earns and what it spends. Of course, every time someone buys gold, it takes away money from another productive investment. Gold essentially is useful because it is useless. All this was an impact of the fallacy of composition which came with Indians buying gold. The government is now trying to address this fascination that we have for gold through the gold monetisation scheme and the sovereign gold bonds. Let’s see how successful they are with it. As I write this one dollar is worth around Rs 67.1. The last time the rupee went so low against the dollar was sometime in late August 2013. Is this a reason to worry? In August 2013, the oil prices were at a really high level. The price of the Indian basket of crude oil on August 23, 2013, had stood at $109.16 per barrel. As on December 14, 2015, the price of the Indian basket stood at $34.39 per barrel, down by 68.5% since then. One of the reasons for the fall of the rupee back then was the high oil price. India imports 80% of the oil that it consumes. Oil is bought and sold internationally in dollars. When Indian oil marketing companies buy oil they pay in dollars. This pushes up the demand for dollars and drives down the value of the rupee against the dollar. This happened between May and August 2013, as the price of oil shot up by close to 11%. Further, those were the days of high inflation. The consumer price inflation in August 2013 had stood at 9.52%. In order to hedge against this high inflation people had been buying gold. India produces very little gold of its own. In 2013-2014(April 2013 to March 2014) India produced 1411 kgs of gold. In contrast, the country imported 825 tonnes of gold during 2013. Gold, like oil, is bought and sold internationally in dollars. When Indian importers buy gold, like is the case with oil, it pushes up the demand for dollars and in the process drives down the value of the rupee. This phenomenon also played out in 2013. Hence, the high price of oil and the demand for gold, drove down the value of the rupee against the dollar, between late May 2013 and late August 2013. But these reasons are not valid anymore. The price of the Indian basket of crude oil is less than $35 per barrel. And the demand for gold is subdued at best. So what exactly is driving down the value of the rupee against the dollar? In order to understand this, we need to go back to the period between May 2013 and August 2013. While gold and oil played a part in driving down the value of the rupee against the dollar, there was a third factor at work as well. And this was the major factor. In the aftermath of the financial crisis which started in the September 2008, when the investment bank Lehman Brothers went bust, Western central banks led by the Federal Reserve of the United States, cut their interest rates to close to zero percent. Ben Bernanke, the then Chairman of the Federal Reserve of the United States, was instrumental in this. The idea was that at low interest rates people will borrow and spend more, and economic growth would return in the process. While that happened, what also happened was that financial institutions borrowed money at low interest rates and invested it in financial markets all over the world. In May 2013 just a few months before his term as the Chairman of the Fed was coming to an end Bernanke hinted that the “easy money” policy being followed by the Federal Reserve could come to an end. This meant that interest rates would go up in the months to come. If the interest rates went up, the financial institutions would have had to pay a higher rate of interest on their borrowings. This would mean that the trade of borrowing at low interest rates in the United States and investing across the world, wouldn’t be as profitable as it was in the past. This led foreign financial institutions to start selling out of financial markets around the world including India. Between June and August 2013, the foreign institutional investors sold stocks and bonds worth Rs 75,291 crore in the Indian stock market as well as debt market. They were paid in rupees when they sold their investments in stocks as well as bonds. They had to convert these rupees into dollars. In order to do that they had to sell rupees and buy dollars. When they did that, the demand for the dollar went up. In the process the value of the rupee against the dollar crashed. One dollar was worth around Rs 55 in middle of May 2013. By late August it had almost touched Rs 69. In the end the Federal Reserve did not raise interest rates, the Reserve Bank of India got its act together and the value of the rupee against the dollar stabilised in the range of Rs 58-62 to a dollar. What did not happen in May 2013 is likely to happen on December 16, 2015 i.e. tomorrow. It is likely that Janet Yellen, the current Chairperson of the Federal Reserve, will raise interest rates. This means that the financial institutions which have borrowed in the United States and have invested across the world, would have to pay a higher rate of interest on their borrowings. This may make their trades unviable. Also, financial markets do not wait for central banks to make decisions. They try and guess which way the decision will go and make their investment decisions accordingly. It is now widely expected that the Fed will raise interest rates tomorrow. Given that, the foreign financial investors have been selling out of the Indian financial markets since November. Between November and now, the foreign institutional investors have sold stocks and bonds worth Rs 15,035 crore. In the process of converting this money into dollars, the value of the rupee has been driven down against the dollar. At the beginning of November, one dollar was worth around Rs 65, now it is worth more than Rs 67. Also, as the rupee loses value, the foreign institutional investors lose money. Let’s say an investment is worth Rs 65 crore. If one dollar is worth Rs 65, then this investment is worth $10 million. If one dollar is worth Rs 67, then this investment is worth only $9.7 million. In order to prevent such losses, bonds investors are selling out of Indian stocks and bonds. And this is pushing down the value of the rupee. So after a point, the rupee loses value because the rupee loses value. The trouble is that Indian politicians have turned the value of the rupee against the dollar into a prestige issue. But what is worth remembering here is that we live in a word where things are connected and given that the value of a currency is bound to fluctuate. Sometimes the fluctuation will be higher than usual. But that doesn’t mean that things are going wrong. What does this mean? India has 20,000 tonnes or around 10.9% of the 1,83,000 tonnes of gold in existence. The tragedy is that India doesn’t produce almost any gold. In fact, in 2013-2014, we produced 1.4 tonnes of gold. And how much did we import? The minister of state for commerce Nirmala Sitharaman(independent charge) in a written reply in the Lok Sabha had pointed out that Indian import of gold in 2013-2014 had stood at 638 tonnes. So India produced 1.4 tonnes of gold and imported 638 tonnes of gold. Interestingly, the import of gold in 2013-2014 fell by around 25% from 845 tonnes in 2011-2012. 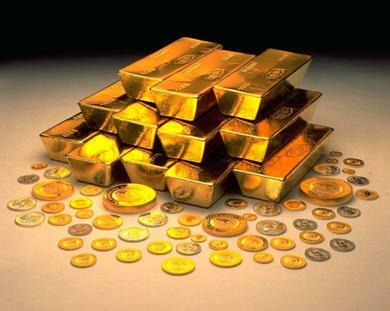 In 2011-2012, India had produced 1.59 tonnes of gold. Hence, we practically import all the gold that we consume. And this creates major macroeconomic imbalances. Gold is sold internationally in dollars. When India imports gold it needs dollars, which need to be earned through exports. When India imports gold, it pushes up the demand for dollars in comparison to the rupee and the value of the rupee starts to fall. A depreciating rupee is good for the exporters because they earn more. But given that our imports are more than our exports it hurts. Other than practically importing all the gold that it consumes, India also imports 80% of the oil that it consumes. 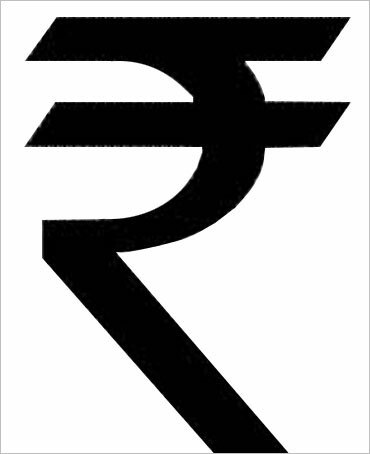 A depreciating rupee means that the oil marketing companies which import oil have to pay more for oil in rupee terms. In the past, the government did not allow the oil marketing companies to pass on this increase in cost to the consumers totally. Only recently diesel prices have been freed and are determined by the price at which oil marketing companies are able to buy oil internationally. Oil marketing companies still suffer under-recoveries every time they sell kerosene and domestic cooking gas. The government has to compensate the oil marketing companies for these under-recoveries. Up until last year, the oil prices were very high. And when gold demand went up, the rupee depreciated and this pushed up the total amount of money oil marketing companies had to pay for oil. Since they were not allowed to totally pass on this increase in price to the end consumer on the oil products they sold, the government had to compensate them. When the government compensated them, the expenditure of the government went up and so did its fiscal deficit. Fiscal deficit is the difference between what a government earns and what it spends. This meant higher borrowing by the government. A higher borrowing led to crowding out, where the increased government borrowing did not leave enough on the table for the other borrowers. This, in turn, pushed up interest rates. And so the cycle worked. Let’s look at this in another way. In 2013-2014, the gold and silver India imported, formed around 7.1% of the total commodity imports. In 2012-2013 and 2011-2012, the number was higher at 11.3% and 12.5%. For a commodity which is pretty much useless from an industrial point of view that is a huge proportion. In 2013-2014, gold worth $28.7 billion had been imported. Now compare this to India’s IT and IT enabled services exports which during the same period stood at $86.4 billion. So, one way of looking at it is that one-third of dollars earned through IT and IT enabled services exports were used up to buy gold. In fact, the situation was even worse in 2012-2013, when the gold imports were at $53.7 billion. The IT and IT enabled services exports were at $76.5 billion dollars. Hence, more than 70% of dollars earned through IT and IT enabled services exports were used up in buying gold. For 2011-2012, the proportion was even higher at 81%. Once all these factors are taken into account the sovereign gold bonds sound like a fantastic idea. As a RBI notification dated October 30, 2015, points out: “The Bonds shall be denominated in units of one gram of gold and multiples thereof. Minimum investment in the Bonds shall be 2 grams with a maximum subscription of 500 grams per person per fiscal year (April – March).” The bonds shall also pay an interest of 2.75% per annum. So anyone looking to buy gold instead of buying actual physical gold can buy these bonds. The value of these bonds will be linked to the price of gold. As the RBI notification points out: “The redemption price shall be fixed in Indian Rupees on the basis of the previous week’s (Monday – Friday) simple average closing price for gold of 999 purity, published by IBJA [Indian Bullion and Jewellers Association].” The bonds can be held on paper as well as demat form. When an investor invests in these bonds he will not buy physical gold. This will help in reducing gold imports and the entire cycle, which I have explained above, will not play out or play out to a lesser extent. The RBI and the government will not get a macroeconomic headache because of our fascination for buying gold. At least, that’s the idea. Of course I am assuming here that investors will move from buying physical gold to investing in sovereign gold bonds. Nevertheless, will that happen? Paper and demat gold has already around in the form of gold mutual funds and gold exchange traded funds(gold ETFs). Gold mutual funds invest the money that they collect into Gold ETFs. These funds haven’t really taken off. This tells us that the Indian investor has an aversion to paper and demat gold and likes to hold real gold. The advantage in case of sovereign gold bonds is that the investor along with getting gold returns also gets 2.75% as interest on the initial amount he invests. Is that lucrative enough to get him to move from physical gold to paper/demat gold? I don’t think so. And that’s basically because there are other factors at play. Investing in gold is a lot about touch and feel. Indians are emotionally and culturally attached to the gold that they buy. Further, as I mentioned in the Friday edition of The Daily Reckoning, many Indians buy gold to store their black money. A lot of money can be held by buying a small amount of gold. These individuals are likely to continue to buy gold in physical form. The reason is straightforward. They are not going to buy paper/demat gold because it would be establish an audit trail and lead to problems for these individuals. Also, those interested in getting gold jewellery made will get gold jewellery made and not buy sovereign gold bonds instead. Due to all these reasons, I think the sovereign gold bonds are unlikely to take off. Indians will continue to buy gold in physical form. But that shouldn’t stop the government from trying.